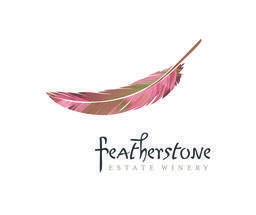 Featherstone Winery is a tiny family operated winery where we grow, produce and bottle the grapes grown in our own vineyard. Our vines are situated on 23 acres of rolling hills on the Twenty Mile Bench along the Niagara Escarpment, Ontario, Canada. We farm naturally and without the use of insecticides, growing wine in a way that is healthy and completely unique. The result is bright and complex small-lot wines crafted to express the singular nature of our premium site in the Twenty Mile Bench appellation. Retail Store Hours: April - May 11:00 am to 5:30 pm Friday, Saturday, Sunday June - August 11:00 am to 5:30 pm Seven days a week Sept - Dec 11:00 am to 5:30 pm Friday, Saturday, Sunday Closed Jan - March Group tastings by appointment during open retail hours. Our wrap around veranda opens Victoria Day weekend in May, closes Labor Day weekend in September. Open Friday, Saturday and Sunday's. We have a simple & delicious noshing menu, meat & cheese boards featuring local artisanal products are the mainstay of the menu. The Good Earth Food and Wine Co.
© 2019 GWDB Inc. All rights reserved.